Notice anything different about your plants lately? The transition to autumn might have something to do with it. Autumn typically means less light, colder temperatures and drier air. Plants can sense the change in seasons and will self-adjust to prepare. Here are few things to be mindful of. Shorter days - your plants will be getting less hours of light. Move them to a spot with more light or add artificial light (it may not be your ideal decor setup, but you can always move it if guests come over). Temperature - colder times means you might be turning on your heating systems. While this makes it cozy for us, not all plants like high temperatures, and they don't really do well with dry air. 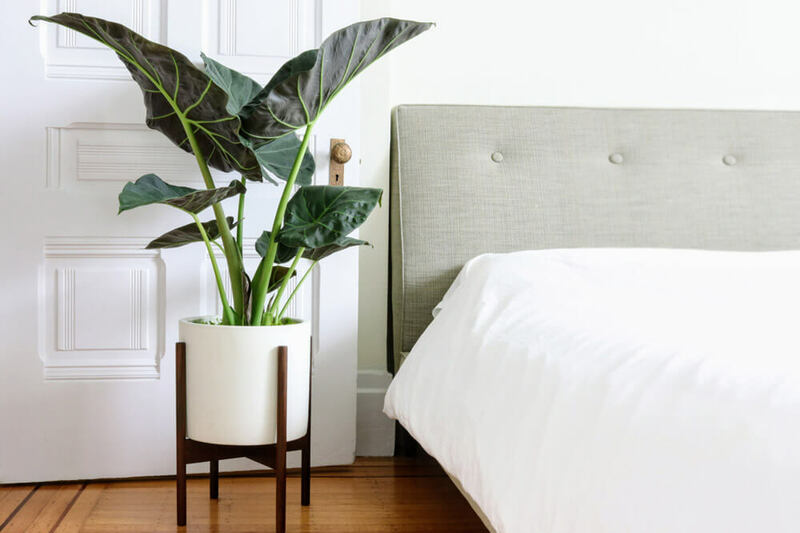 Move your plants away from the direct path of air vents and use a humidifier to make your air less dry. Water - the changes in light and water will change how fast your plant is drinking. Feel the soil and observe your plant for a few weeks to adjust your watering frequency. Food - your plants will shift to a dormant stage and won't be growing as much until spring comes back. Go lighter on any fertilization, once every few months will do. Relax - if your tree has been doing great, with no changes in your routine and all of a sudden a leaf becomes yellow, don't freak out! Observe and be patient. You'll make it through the colder seasons and in spring watch as your plant flourishes again. Our plantdoctor@leonandgeorge.com is on call to help keep your plants healthy and happy! Reach out earlier than later if you notice any ailments. Its lush, tropical-like foliage is perfect for creating a dramatic effect in any room. The large heart-shaped leaves – from which the plant gets its name – are a beautiful mix of deep purple with green veins.